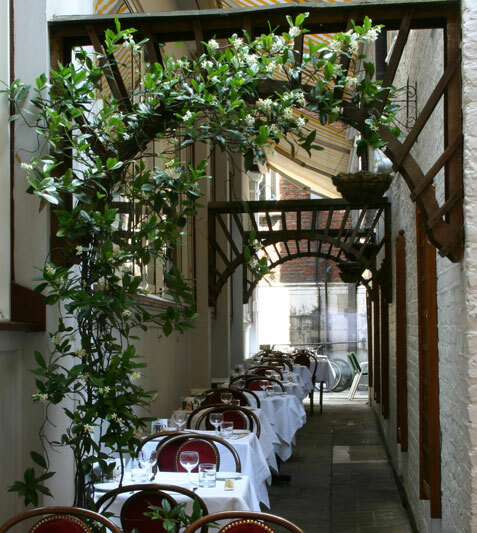 A charming slice of Italian life can be found in this pretty courtyard tucked away behind the historic Bow Bells Churchyard. Tables are coveted by passers by as Italian waiting staff deliver, not only generous portions, but generous warmth and hospitality, ensuring a memorable dining experience for all. Dining in the great outdoors is one of life's simple pleasures. This summer 'Al Fresco Dining' is hot property in the big smoke with the local eaterie fast becoming the latest destination venue.